Basically, you use a program to change the hex values of NES, SNES, and N64 (and probably others) ROMs, which can result in the graphics, text, sound, even the mechanics of the game to change. It's fun to go through the different combinations and see what can happen. It's the only ROM corrupter in existence AFAIK, so it's widely used. Next, you'll want to make sure you have an emulator and a ROM of the game you want to corrupt. Now, extract and open the corrupter. On the very top-left, you'll see 'ROM directory' box. Choose the directory you have your ROM(s) in. Below that is where the corrupted ROM will be saved to. It doesn't really matter where it goes, so the default location is fine. After you've selected the ROM in the list on the top-left, you'll want to start changing the corruption settings. On the right side, check to enable 'byte corruption'. The first thing you'll want to do, is set the 'start byte'. You will probably want this to be at least 5000, and higher for the newer the system the game is for. This is so that you don't change the startup code, which would cause the ROM to not load. The 'end byte' doesn't matter a whole lot. You can check 'auto end' to have it corrupt the whole ROM, instead of having to put in a number. The 'increment' box should be left at 1. This box changes how much the values in the above boxes change, if you use the + and - buttons. The 'corrupt every nth byte' box changes how many bytes apart each corrupted byte is. If you set this too low, the game will be too corrupted. If you set it too high, it will barely be corrupted at all. 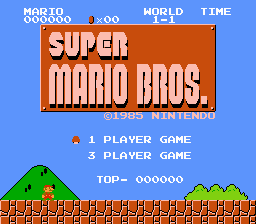 On NES I personally have it set around 1000, but you can experiment with higher or lower numbers. Below those, there's 3 options. 'Add', 'shift right', and 'replace'. Add will increase the value of each corrupted byte, shift right will 'move' a byte over, and replace will replace any byte with the first value, with the second. I recommend you choose add or shift right. You should probably set the number to 1 or 2, any more and it likely won't work very well. 'Enable NES CPU jam protection' will cause the corrupter to not change some bytes that might cause the ROM to freeze up. If you're corrupting an NES game, you should enable this. Now, with that set, you can begin corrupting. Click 'run' in the bottom-left, and the emulator should start. Start playing the game, and see what happens. When you're done with that corruption, you should click the + button next to the 'start byte' box. Click run, and you will likely get a different result. If you run into an area where every time you increase the start byte, you get a ROM that freezes/crashes, try increasing the start byte by 100 or so. There's thousands of possibilities just with changing the start byte, but if you somehow run out, or just want to randomize it a bit, you can change the 'corrupt every nth byte' box, or change from add to shift. So there you go. If you keep getting unplayable corruptions, try messing with the start, end, and corrupt every nth boxes. If that fails, post your settings and info on here and maybe I can help. Last edited by bman7; 02-03-2014 at 07:02 PM. I've done a few corruptions of the GBA version of NFS: Porsche Unleashed. You can cause some interesting graphical bugs, where polygons just go everywhere and obscure your vision. I also found a corruption where, if you try to accelerate, you can only go up to 14 km/h. But, if you hold down the accelerator and swerve back and forth across the track, you can go 50+ km/h, but if you hit the wall, you have to build up speed again. This takes work. Why ruin a perfectly good game? Why have a perfectly good game when you can have one that can induce seizures and damage your hearing? Really though, I just find it entertaining, seeing what interesting things end up happening.